Fusing the artificial to the biological at the cellular level has moved beyond the realm of science fiction and into laboratories of reality, as a team of investigators at the Imperial College London has fused living and nonliving cells for the first time in a way that allows them to work together. The new cellular system encapsulates biological cells within an artificial cell. Using this, researchers can harness the natural ability of biological cells to process chemicals while protecting them from the environment. Findings from the new study—published today in Scientific Reports, in an article entitled “Constructing Vesicle-Based Artificial Cells with Embedded Living Cells as Organelle-Like Modules”—could lead to applications such as cellular “batteries” powered by photosynthesis, synthesis of drugs inside the body, and biological sensors that can withstand harsh conditions. The artificial cells the researchers created also contain enzymes that work in concert with the biological cell to produce new chemicals. In a proof-of-concept experiment, the artificial cell systems produced a fluorescent chemical that allowed the researchers to confirm all was working as expected. To create the new cell system, the research team utilized microfluidics—directing liquids through small channels. Using water and oil, the scientists were able to make droplets of a defined size that contained the biological cells and enzymes. They then applied an artificial coating to the droplets to provide protection, creating an artificial cell environment. Moreover, the Imperial team tested these artificial cells in a solution high in copper, which is usually highly toxic to biological cells. The team was still able to detect fluorescent chemicals in most of the artificial cells, meaning the biological cells were still alive and functioning inside. This ability would be useful in the human body, where the artificial cell casing would protect the foreign biological cells from attack by the body's immune system. 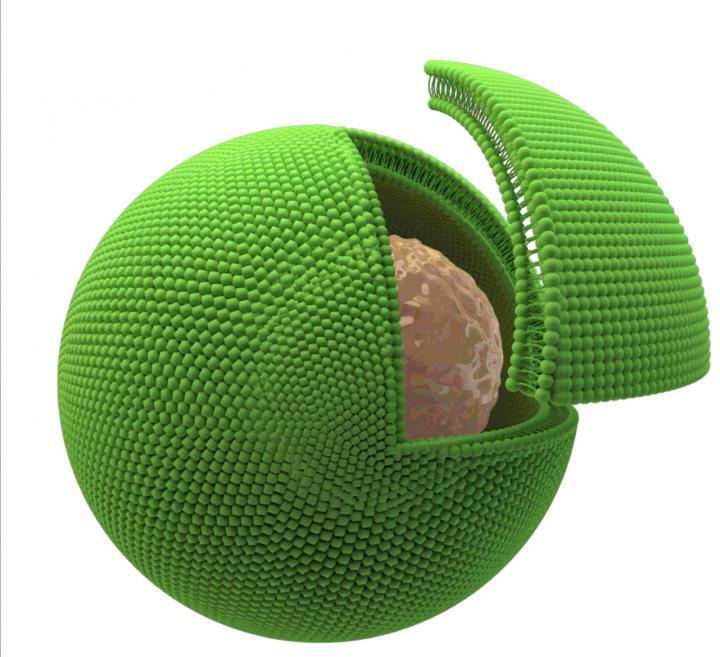 To improve the functionality of these artificial cell systems, the researchers are looking to engineer the artificial coating to act more like a biological membrane, but with special functions. For instance, if the membrane could be designed to open and release the chemicals produced within only in response to certain signals, they could be used to deliver drugs to specific areas of the body. This would be useful, for example, in cancer treatment to release targeted drugs only at the site of a tumor, thus reducing side effects. While a system like that may be a way off yet, the investigators say this is a promising leap in the right direction.